Ford’s 1.0-liter EcoBoost engine has been voted 2017 International Engine of the Year “Best Engine Under 1.0-liter” for the sixth year in a row, meaning the compact and powerful three-cylinder petrol engine remains undefeated in its category since launch in 2012. Judges praised the engine’s combination of performance, fuel-efficiency and technology. The 1.0-liter EcoBoost has now won 10 International Engine of the Year awards including overall winner a record three times, and “Best Newcomer”. 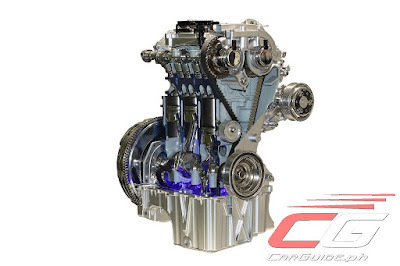 The Ford’s 1.0-liter EcoBoost engine is offered with 100-horsepower, 125-horsepower, and 140-horsepower outputs. The frugal three-cylinder engine was named “Best Engine Under 1.0-liter” by a panel of 58 automotive journalists, from 31 countries. First introduced to the Ford Focus in 2012, the innovative engine has continued to dominate its segment, faced with growing competition in a category popular with car buyers and important to carmakers. This year, the sub-1.0-liter award category featured 35 engines, nine more than in the 1.0-liter EcoBoost’s debut year. The 1.0-liter EcoBoost engine featuring cylinder deactivation technology is now being rolled out starting with the 2018 Fiesta. It is designed to deliver reduced running costs for customers by automatically stopping one of the engine’s cylinders when full capacity is not needed, such as when coasting or cruising.